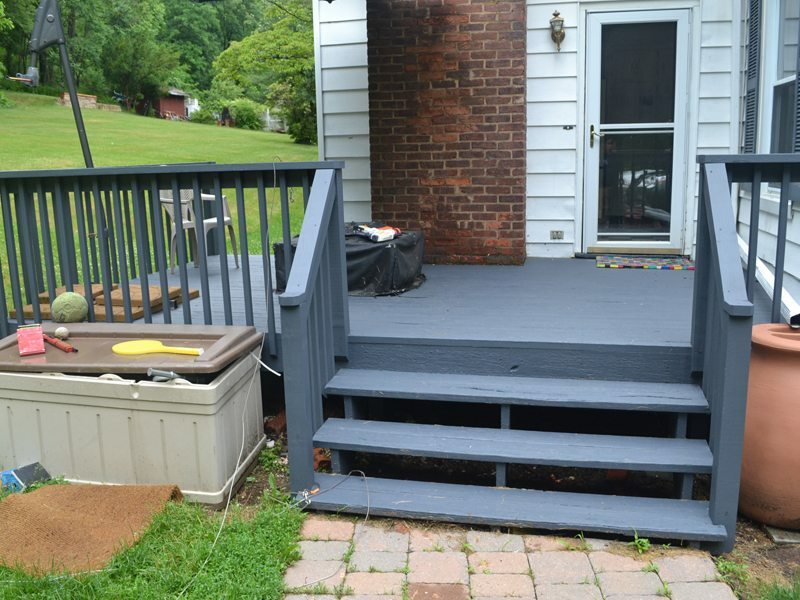 Our team of skilled carpenters renovated this deck to make it safe and beautiful again. In only a handful of days the carpentry work was complete, as well as a full deck staining project. To begin the project our team built new custom railings to bring the existing deck up to code. 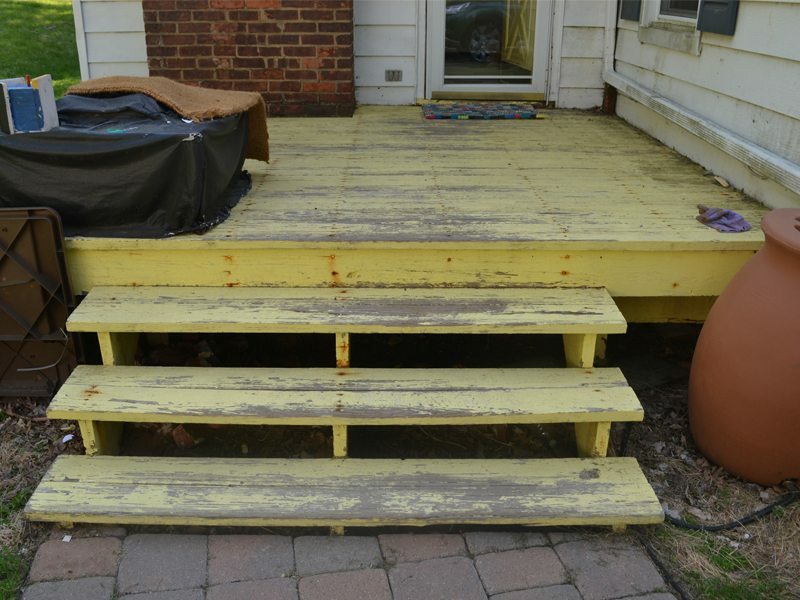 The deck’s bottom step was also rotted and in need of a complete replacement. Once these carpentry updates were made our team power washed the deck. After the deck had been washed our team applied two coats of solid stain. The color of the stain was specifically chosen to match the home’s shutters. What a dramatic difference. Now this deck is a lovely extension to the home. If you are considering a deck project for your home we would like the opportunity to tell you why we think we are the best deck contractor in Long Hill, NJ.